We hold requisite designing and fabrication competence to offer a range of sugar machinery and equipments for the sugar industry. Our handling, processing and boiling equipments are reckoned for their durability and quality. They are capable of withstanding extreme work conditions in order to ensure longer and trouble free operations. We offer these juice heaters in following sizes: Ranging from 50 to 500 m2 H.S. These are used for heating of juice during the process. The covers and pass partitions are designed to give trouble-free operations for life. Cover plates provided with balancing device for easy opening. Leak-proof passes for higher efficiency. Owing to our long-time experience in manufacturing large equipment for the sugar industry, we offer precision engineered evaporators. Robert Type: 350 to 4000m2 H.S. 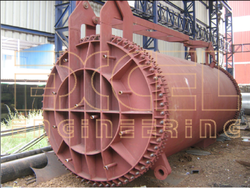 We also offer to customize these evaporators accurately in accordance with the technical and other specifications given by our valued clients which are intended to suit their specific requirements. 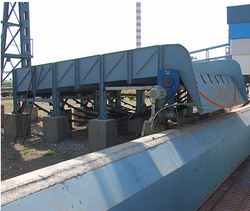 We offer heavy-duty cane unloader trolleys and bridges that are used in sugar industry where sugar canes are unloaded in bulk for processing. 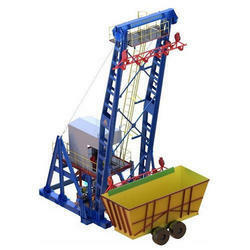 The Cane Unloader Trolley & Bridges are available with the following capacities: Ranging from 5 tons to 10 tons. 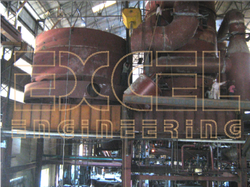 Their robust design of sugar mill machines is ensured long-term utilization with high efficiency. We manufacture Cane Feeding Tables that are used in sugar industry for feeding sugarcane to cane carriers. Cane Feeding Tables are available in different sizes such as 6m x 7m and 7m x 8m Designed strictly in conformation with the latest requirements of the modern sugar industry, our cane feeding tables, sugar machines deliver peak performance and give longer work life. Looking for Sugar Machines ?